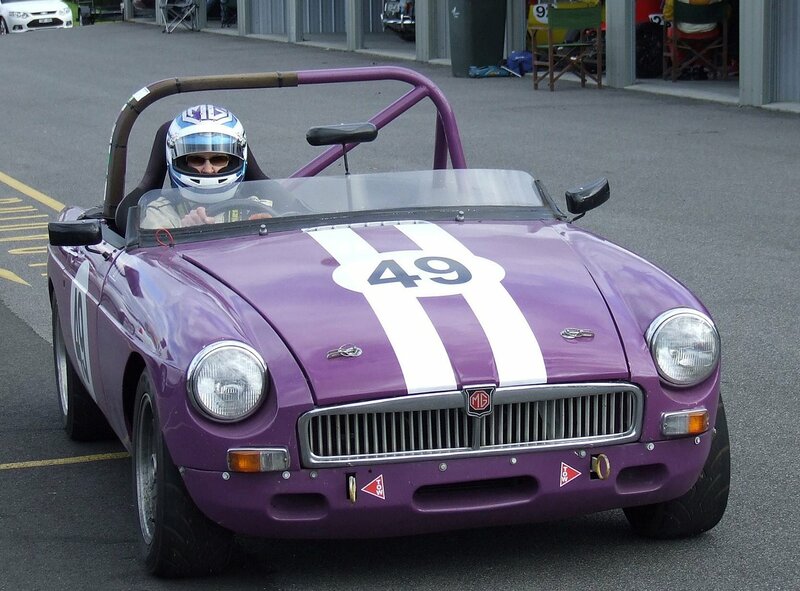 Eighty-four competitors fought for outright and class honours during this twilight Saturday event at Bryant Park ably hosted by the Gippsland Car Club. As usual, the track and facilities were in superb condition and despite some light drizzle and a blustery wind some fast times were set on the clockwise figure-eight track configuration. There were four Sporting Register members competing at this round: Jane Vollebregt in her Group Sb (Historic) MGB, David Anderson in his MGB which runs in the ‘Sports Cars open/closed’ class, Jim McNiven drove his Sports Sedan Corolla and Steve Schmidt gave the Group Nb (Historic) Cooper S a run. It was a very successful day for our club with Jane picking up a trophy for placing second in her class; and David, Jim and Steve each winning their respective classes. Unfortunately, several off-track excursions requiring lengthy recoveries and a timing issue disrupted the flow of the event somewhat, allowing time for only 4 official runs on the day. Special thanks to Club members who assisted in an official capacity during the day. 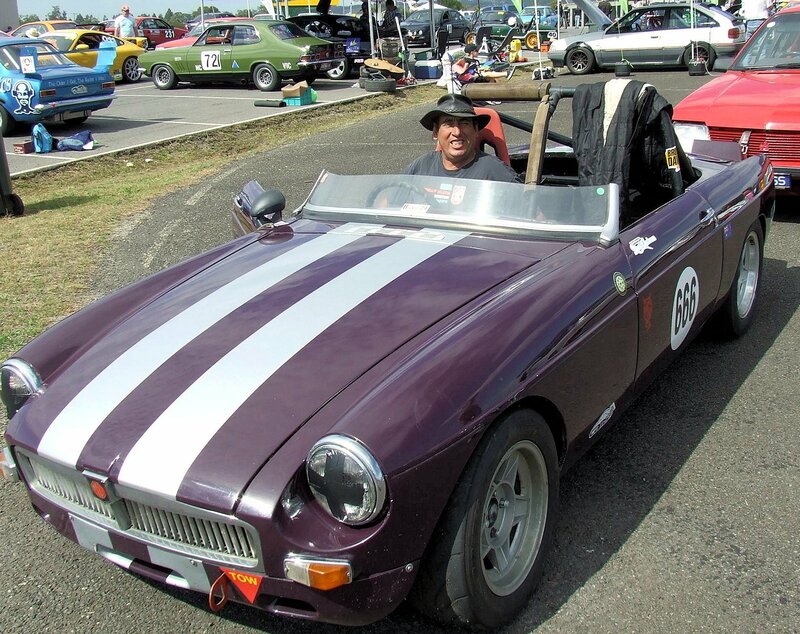 John Moss performed the role of Assistant Clerk of Course, with Allan and David Richards helping to marshal vehicles at the Dummy Grid and on the Start Line. 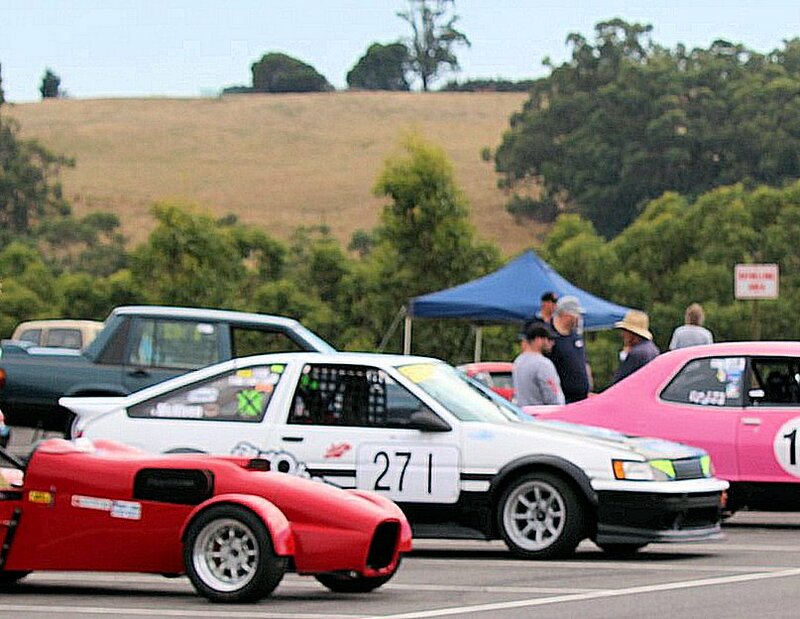 A supposedly retired Lloyd Shaw was seen lurking around the Scrutineering Shed and it was nice to see several Sporting Register members enjoying the afternoon watching the proceedings and catching up with friends.